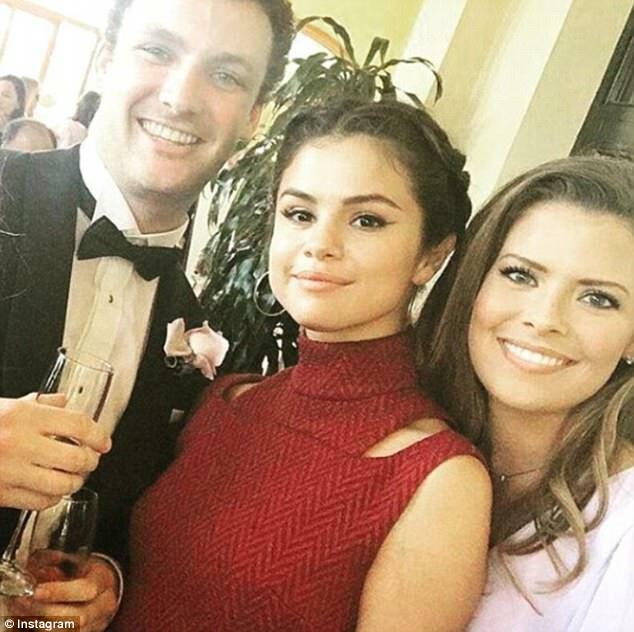 Selena Gomez looked incredible on Friday as she stopped by a friend's wedding in LA. 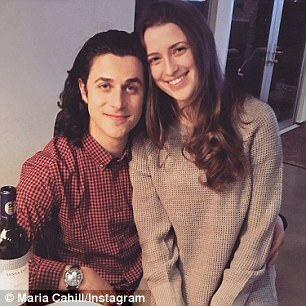 The 24-year-old Good For You singer wore a long red dress with cut-outs on the sides as she stopped by the nuptials for her Wizards Of Waverly Place co-star David Henrie. 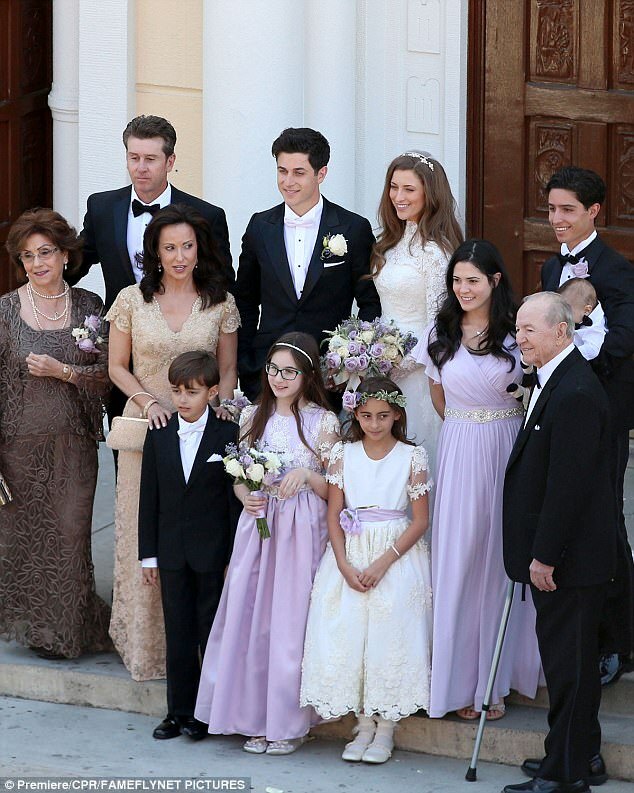 He married former beauty queen Maria Cahill. 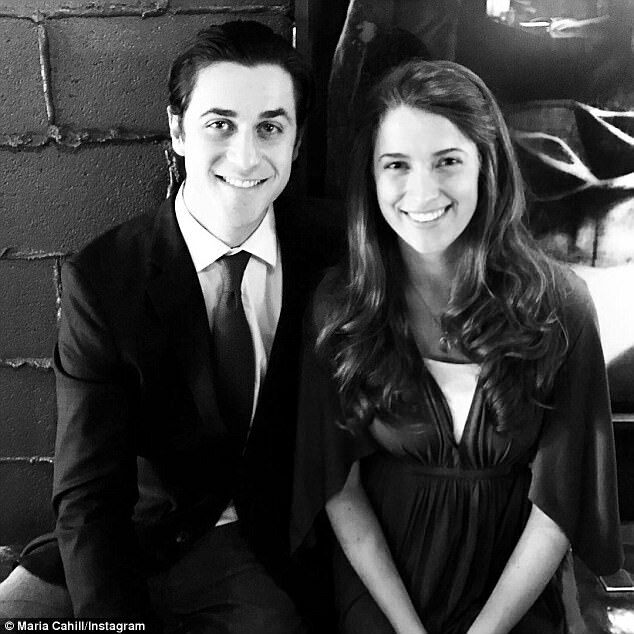 The 27-year-old actor and the 26-year-old former Miss Delaware turned teacher wed in an Old Hollywood-inspired ceremony in Southern California, according to People Magazine. 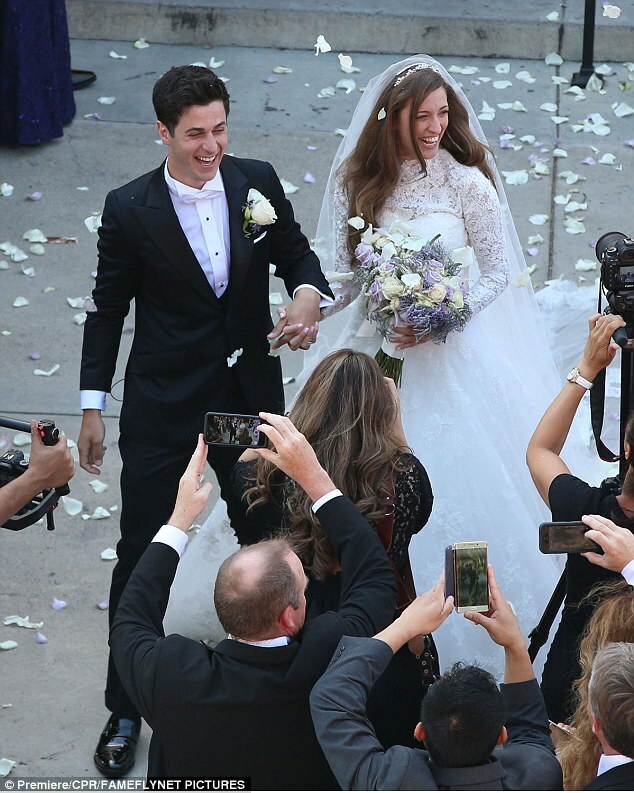 The couple exchanged traditional wedding vows and Maria opted for an A-line, full-length gown by Enzoani featuring beaded Alencon and Chantilly lace. The teacher told People she kept her dress a surprise from his husband: 'One of the only things I really pictured about my wedding was the moment when the doors open and my husband sees me for the first time. 'He knows nothing about my dress. David meanwhile wore a custom tuxedo by Indochino and a white bow tie which was a nod to his parents' wedding the actor said. The couple said 'I do' in front of 170 guests before sharing their first dance to the sounds of Michael Bublé's Hold On. 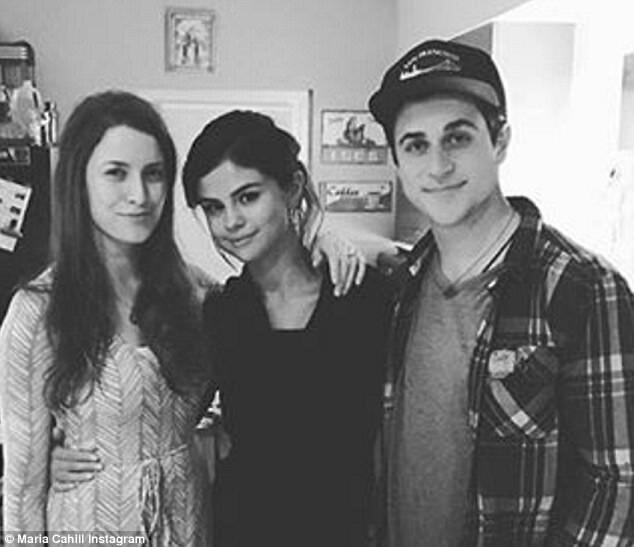 Watching on was David's Wizards co-stars including Selena and Jake T. Austin, who sat at a table all together. 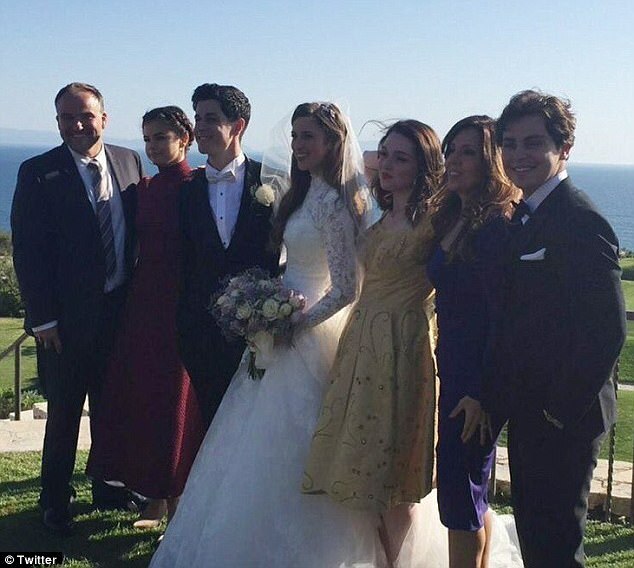 Selena played David's little sister on the show and she was one of the first to know he had asked Maria to marry him. 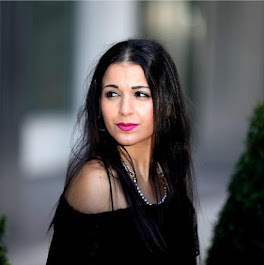 The singer had offered to perform at the wedding but David wanted her to enjoy the evening, she may have spontaneously jumped on the mic during the reception however. The couple plan to honeymoon in St. Lucia.